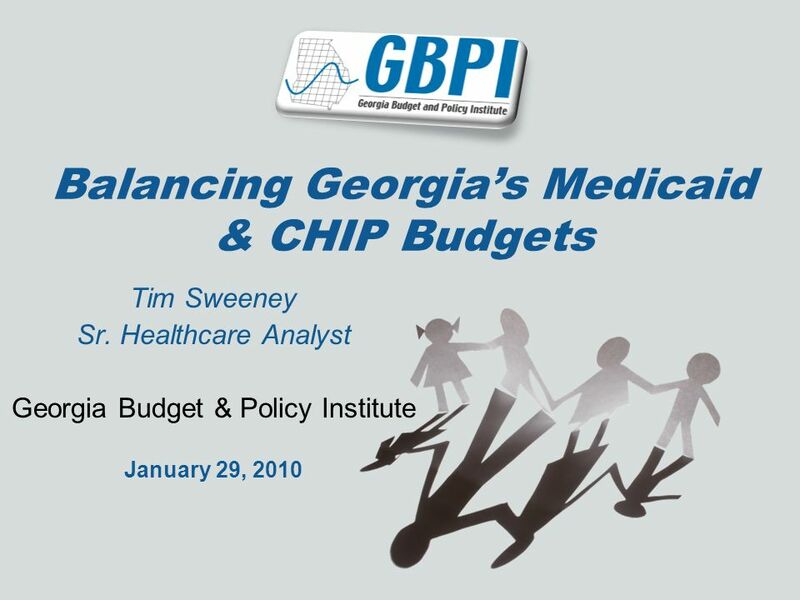 Balancing Georgias Medicaid & CHIP Budgets Tim Sweeney Sr. Healthcare Analyst Georgia Budget & Policy Institute January 29, 2010. 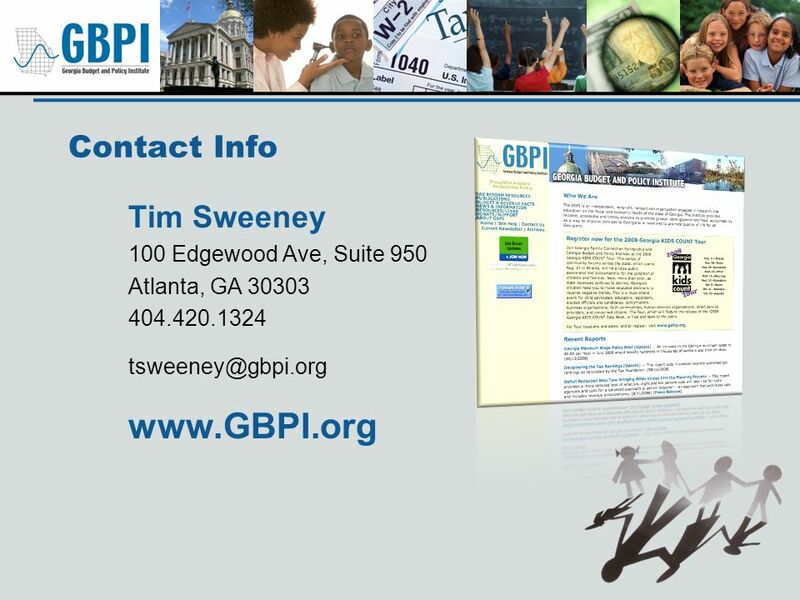 Download ppt "Balancing Georgias Medicaid & CHIP Budgets Tim Sweeney Sr. Healthcare Analyst Georgia Budget & Policy Institute January 29, 2010." Families USA Health Action 2008 Covering Kids in Tenuous Times How Georgia Coped with Federal Funding Shortfalls in 2007 Tim Sweeney, Georgia Budget and. THE COMMONWEALTH FUND Affordable Care Act of 2010: Major Provisions and Implementation Timeline Sara R. Collins, Ph.D. Vice President, Affordable Health. 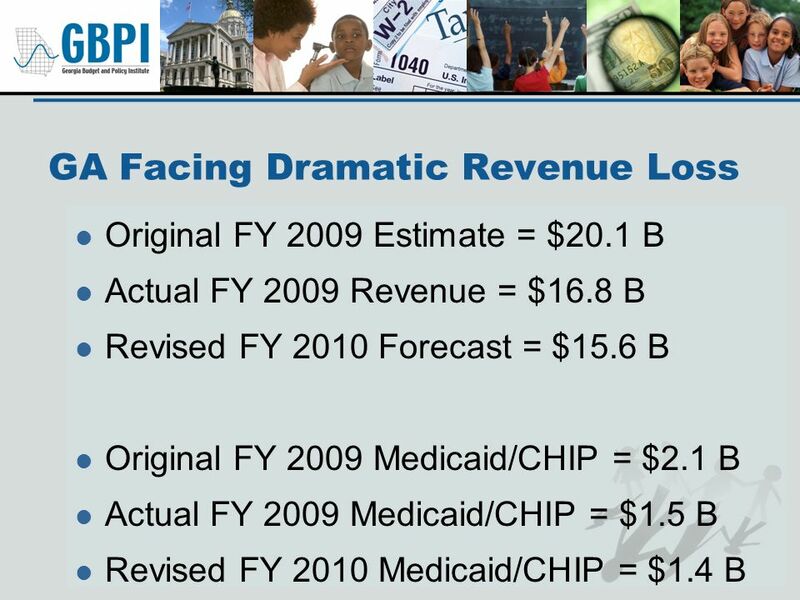 K A I S E R C O M M I S S I O N O N Medicaid and the Uninsured Figure 0 From Crunch to Crisis: State Budgets, Medicaid and the Economy Robin Rudowitz Associate. 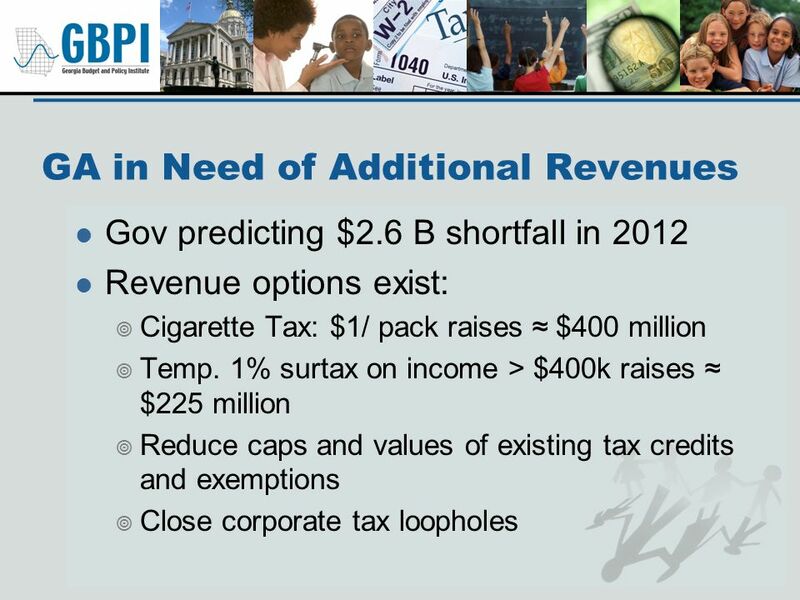 State Fiscal Outlook 2012 NASACT Middle Management Conference Scott Pattison Executive Director National Association of State Budget Officers 444 North. The Current State of the States: Is there Light at the End of the Tunnel? NASACT Economic Summit Charleston, WV August 11, 2010 Brian Sigritz Director. Jennifer Vermeer Iowa Medicaid Director Iowa Department of Human Services November 11, 2010 Implementing the Affordable Care Act in Iowa: Iowa Medicaid. 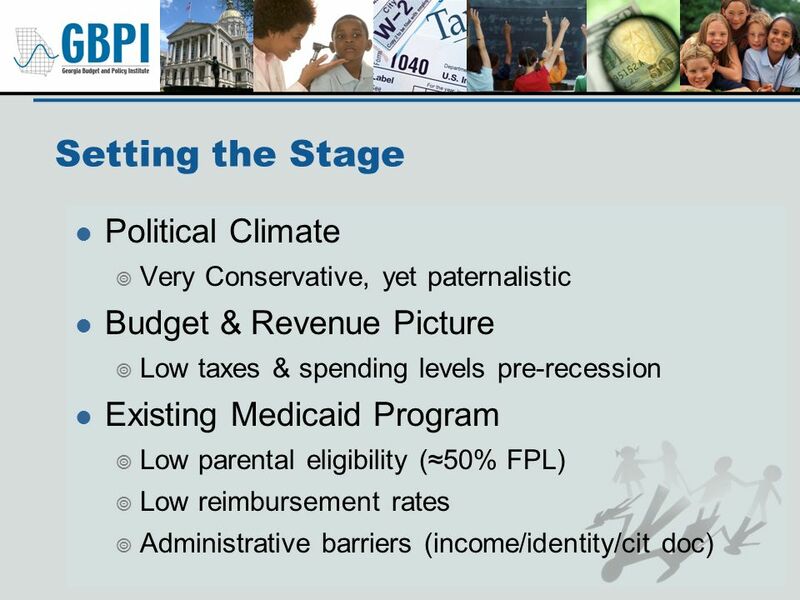 The Federal Agenda: and the Fiscal Cliff Chris Whatley, Washington Director. Fiscal Year 2010 Budget Update Board of Early Education and Care June 9, 2009. 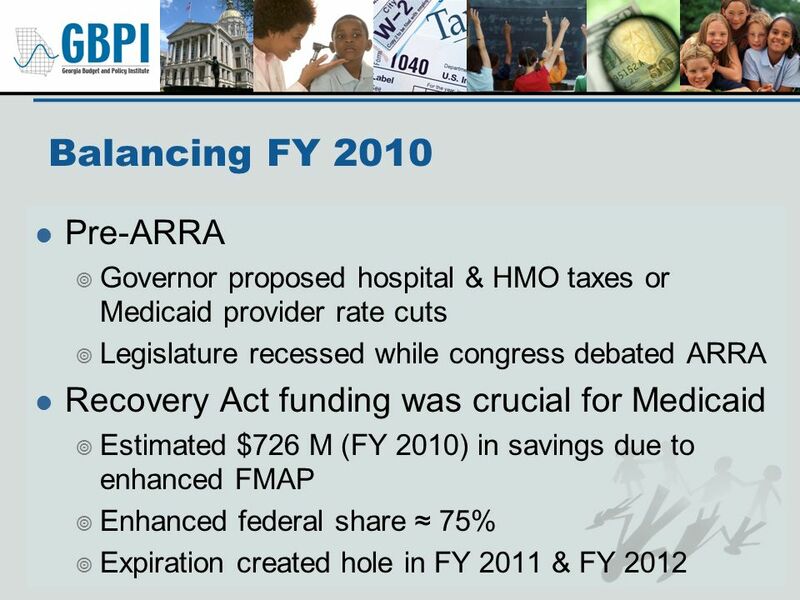 Aca & medicaid expansion in sc. tonight’s talk  Background  Hospital impact  Human impact  Economic impact  Final thoughts. 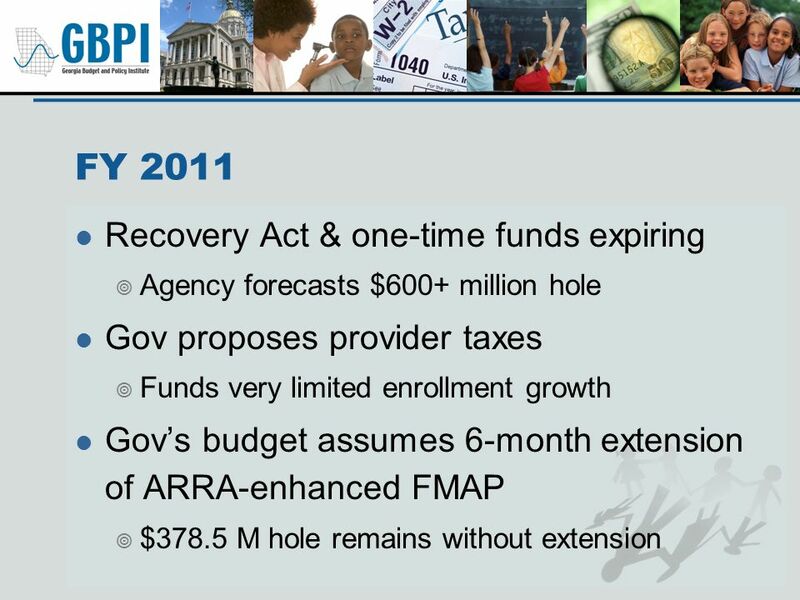 1 Meeting of the Board of Education February 15, 2011 Budget Reductions and Revisions Phase IV. Campus Budget Overview Fall 2010 Kelly Ratliff Budget and Institutional Analysis. May 20, 2010. 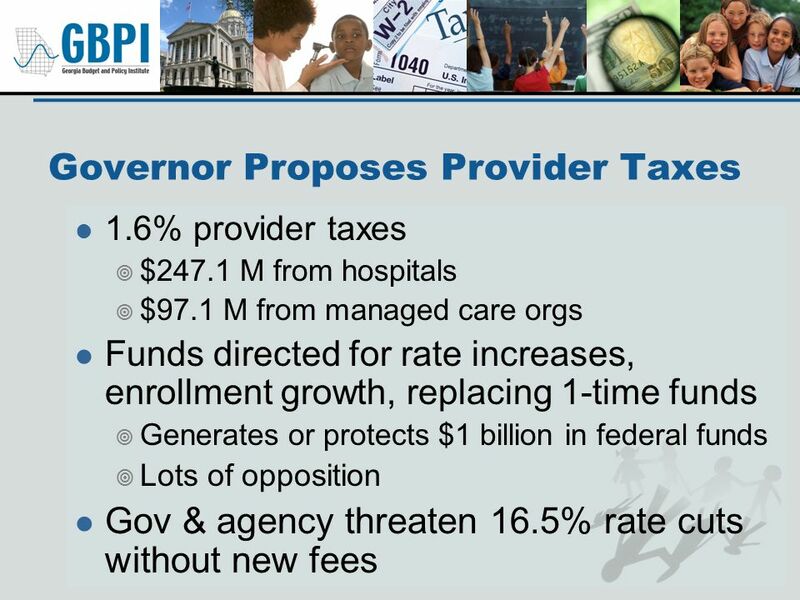 Budget Shortfall Projected in January Budget $(19.9) Special Session Solutions 1.4 Achieved Federal Funding 0.7 Revenue Decline (0.6) Cost.